Get 3% Back to Spend on Any Groupon Deal! Never miss a great ALDO coupon and get our best coupons every week! Step into savings and style now at Aldo and save up to 50% on a new pair of shoes, boots, sandals, and more! It pays to be a member! Get a 15% off promo code for ALDO when you sign up for the email newsletter. New customers only. 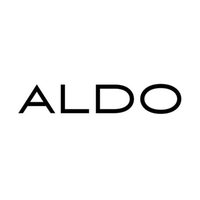 Before you buy, make sure to check ALDO's sale page for the latest coupons & promo codes. While you're there, make sure to sign up for email to get offers delivered directly to your inbox. Sign up for ALDO emails and receive a 20% off coupon, plus a birthday gift once a year! See website for details. Stack your savings with deals on shipping from ALDO now! Get free shipping on any order of $70 or more, no promo code required. With this ALDO sale, save as much as 50% on handbags; no promo code required. Get the shoes now but at a lower price! Are you hoping to save on your next ALDO order? Awesome! If you're a new customer, you can get a 15% off promo code for ALDO when you sign up for the email newsletter. Hope this handy tip helps you save big! Find the perfect pair of heels at ALDO and save! Click through now to shop for heels at $35 or less per pair! See site for offers. Check out Aldo's Cowgirl Chic Boots and accessories today! No ALDO promo code required. Change up your look this summer with two pairs of trendy shades from ALDO. Regular-price sunglasses are two for $25 for a limited time. Click here to get started on your order. With this ALDO sale, save as much as 50% on select sandals. No promo code required. Looking for a way to snag free shipping from ALDO? Sign up for emails to receive special discounts, including free shipping deals! Find the hottest styles in footwear at great prices at ALDO! Enjoy free shipping on orders of $70 or more! You Just Found 50% Off | Click Here To Keep It! Get an extra 50% off at ALDO when you shop through this link. Save 60% on select boots with this ALDO sale. No promo code required. Come shop at ALDO now for this awesome deal: Shop Men's! Come to ALDO and save on what you need for the season. Act now and Shop Women's! Thanks to ALDO, Canada can add stylish, reasonably priced shoes to its list of exports. Founder Aldo Bensadoun started the company after a career of serving in the French military service and teaching economics. According to an article published by "The Globe and Mail,” "Mr. Bensadoun never intended to follow in the footsteps of his father, a shoe retailer in Morocco and France, or his grandfather, a cobbler in Algeria." But follow them he did, and then some. Now he sits at the top of an international shoe empire that originated in the 1970s. After the first store opened, it burgeoned to 95 free-standing locations by the 1980s. Over the following two decades, ALDO spread its reach to the United States, London, Singapore, and beyond. Today, ALDO continues its expansion to other countries—success which can easily be attributed to Bensadoun’s ability to sense changes in the market and adapt to outstrip his competitors. To shop for shoes from this innovative and fashion-forward brand, take a look at the ALDO coupons at Groupon Coupons. Why Should You Shop At ALDO? ALDO is not just any old shoe company. It was founded on a commitment to compassion, ethics, and offering a superior product to the customer. As a world leader in shoe design and production, the company has clearly held up its pledge to the customer, but it has also worked tirelessly to improve the communities it serves as well. In an effort to give to those in need, ALDO supports YouthAIDS, an organization that works to stop the spread of the insidious virus, and the Cure Foundation, which promotes research to fight breast cancer. The employees at ALDO’s headquarters in Montreal also keep it local by supporting organizations such as the Montreal Heart Institute and the Montreal Museum of Fine Arts. How To Save Money When You Shop At ALDO? Saving money on shoes, handbags, and accessories has never been easier than when you shop at ALDO. First, sign up for emails to have exclusive new arrivals, coupons, and sales sent right to your inbox. When browsing the site look on the homepage for featured styles and you can often find special discounts in a banner at the top of the page. Make sure to check the current free shipping offer at the top of the page as well so that you never have to pay to get your order delivered! When you get lucky enough to find an ALDO promo code or ALDO coupon on Groupon Coupons you can save even more!